Next year will be quite interesting from a number of perspectives for BMW fans. Among other launches, the BMW M8 will arrive after a couple of decades of waiting. However, its racing version was already unveiled in the shape of the BMW M8 GTE which was showed to the world earlier this year. This was possible because the race car has to adhere to the FIA regulations and is heavily modified on the outside, to make sure it follows the GTE rules. 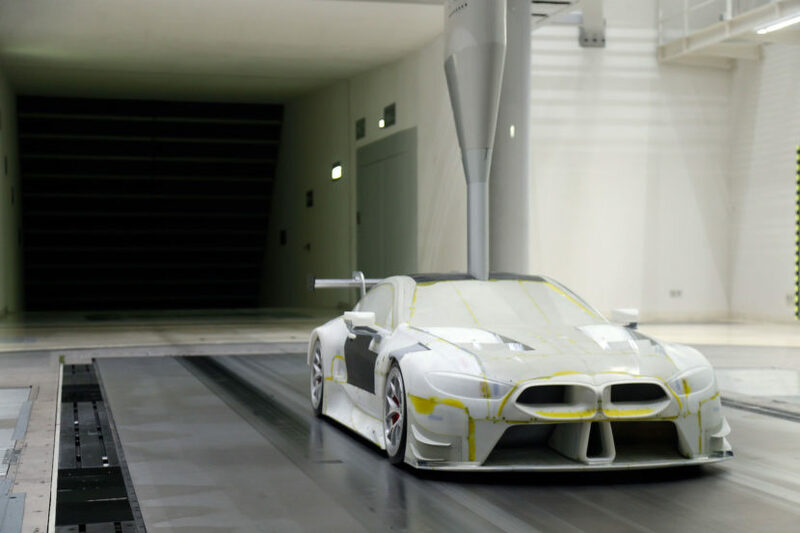 Therefore, BMW had to do some wind tunnel work and the development showed that innovative solutions can be used to obtain an even more efficient solution. And when talking about a car that will race in the FIA World Endurance Championship (WEC) and the IMSA WeatherTech SportsCar Championship (IWSC) making a car that sips even 0.001% less fuel can make the difference between coming in first or second. The BMW M8 GTE boasts a host of innovative features which will also be incorporated in the development of future production vehicles, particularly the BMW 8 Series Coupé. 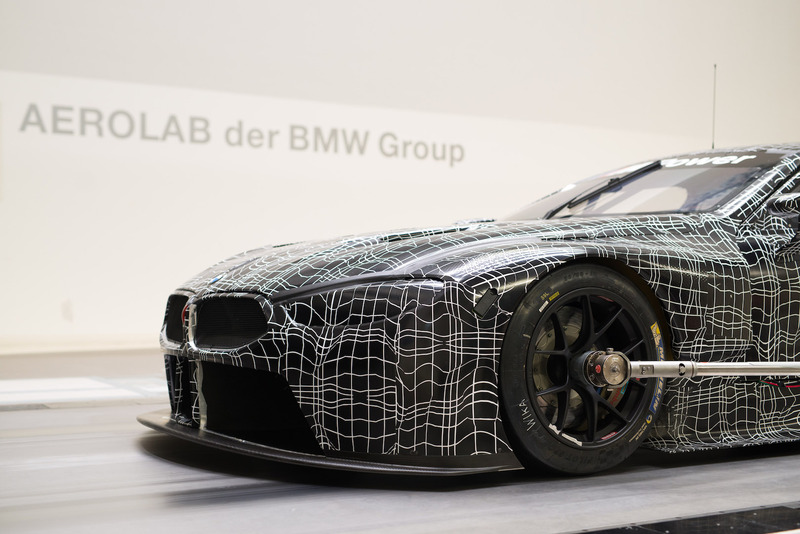 “One of the premises for the development of the BMW M8 GTE is the close relationship between motor racing and production,” said BMW Motorsport Director Jens Marquardt. “The various departments have also worked hand in hand in the area of aerodynamics. We have benefited greatly from the intense cooperation with central prototype assembly and the BMW Group’s Aero Lab. During development, this allowed us to work even more efficiently on the aero components, which have been designed specifically for long-distance racing. At the same time, our colleagues in production development have received information that is valuable in the field of high-performance automobiles,” he added. The use of innovative technology such as additive manufacturing, in close cooperation with the BMW Group’s Additive Manufacturing Center, resulted in faster and more efficient development work. It sometimes took less than 24 hours to manufacture and test a component in the wind tunnel. 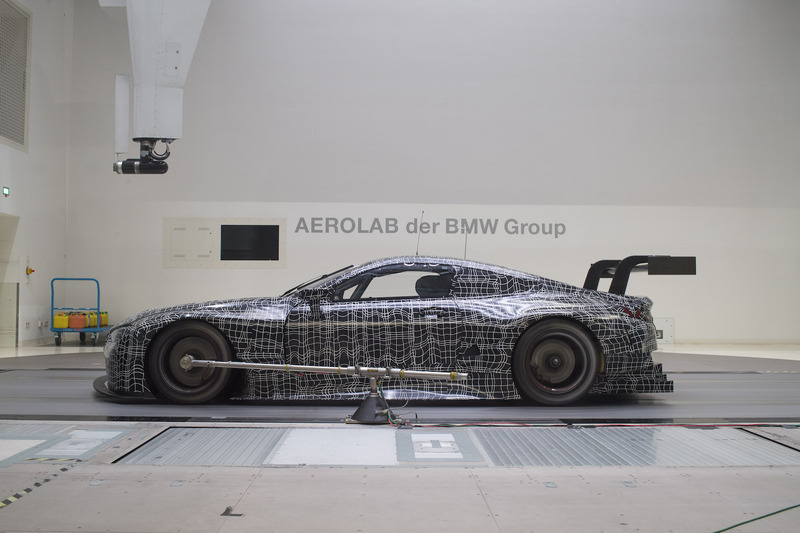 BMW Motorsport also used synergies with production development in the wind tunnel itself, and benefited from the perfect test conditions at the BMW Group Aero Lab. 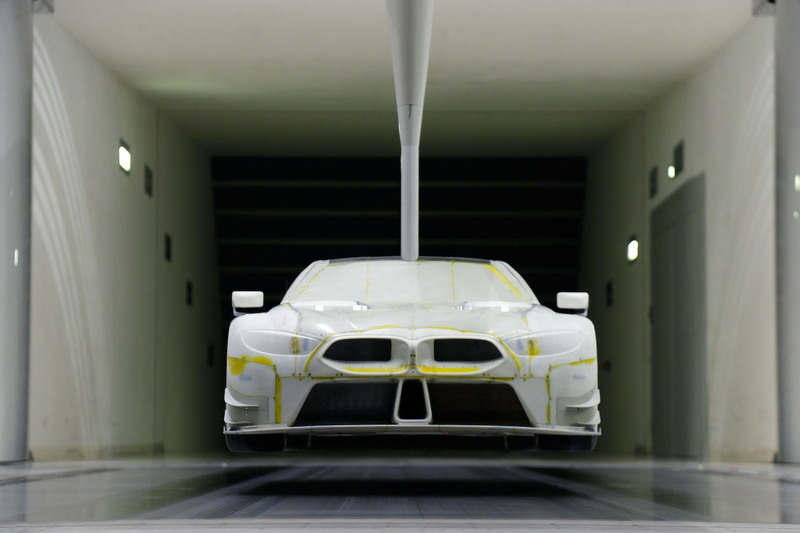 In total, several hundred wind tunnel tests were performed whilst developing the aerodynamic properties of the BMW M8 GTE – first with models, then with the car itself. One result of the intensive aero development is the innovative “Swan Neck” rear wing. This allows a particularly clean airflow on the critical underside of the rear wing, thus increasing efficiency. In addition, the sloping roof line adopted from the BMW 8 Series Coupé facilitates the air flow to the rear wing. The strikingly wide rear diffuser also contributes to improved aerodynamic efficiency. The wing mirrors on the BMW M8 GTE are another example of the close links between the racing car and the production car, and they hint at the design language of the new BMW M8.